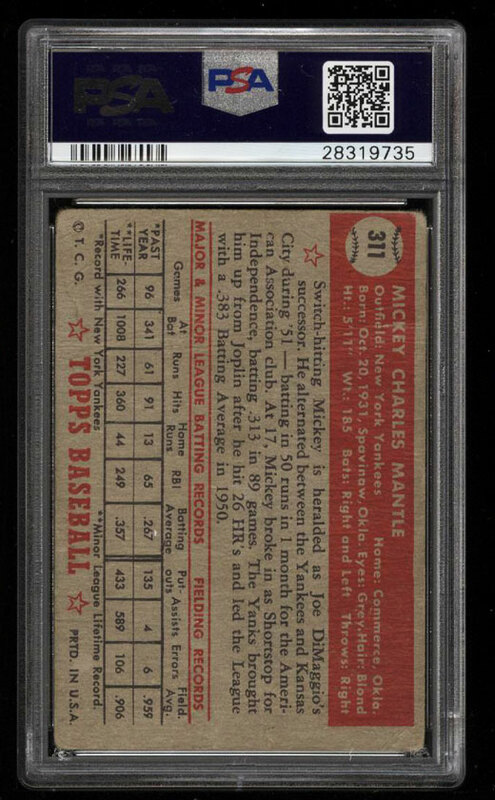 Among the most important and collectable cards in the hobby. 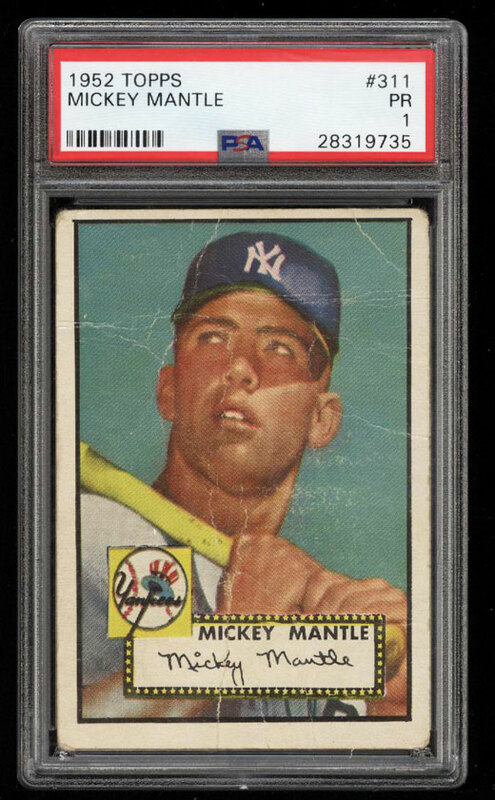 The '52 Topps Mantle is an absolutely iconic card which is generally on every collector's want list. The offered '1' retains a nice image of the legendary Yankee with attractive color and focus for the assessment. Well framed with virtually GD+ corners. Deserving of attention. Part of a tremendous, high-grade, near complete set break of the ultra popular '52 Topps issue on the auction block this month. Every card is assessed by PSA with the majority being EXMT to NRMT with many showing better qualities than the technical grade suggests. One of over 18,000 cards, lots and sets up for bid in our 1st Auction of 2018. Click on the link above to view the other PWCC auction lots.